The timelessness of Woolley Grange, and the delicious cakes produced by our pastry chef, make it a wonderful place to enjoy a traditional afternoon tea. Why not book in for our special Festive Afternoon Tea in December for a real treat! The history of the traditional British afternoon tea. ‘Stands the Church clock at ten to three? And is there honey still for tea?’ Rupert Brooke. Afternoon tea is an English tradition that dates back to 1840 when Anna, the 7th Duchess of Bedford complained of "having that sinking feeling" during the late afternoon. At the time it was usual for people to take only two main meals a day, breakfast, and dinner at around 8 o'clock in the evening. The solution for the Duchess was a pot a tea and a light snack, taken privately in her boudoir during the afternoon. Later friends were invited to join her in her rooms at Woburn Abbey and this summer practice proved so popular that the Duchess continued it when she returned to London, sending cards to her friends asking them to join her for "tea and a walking the fields." The idea soon caught on and drinking tea, nibbling sandwiches and eating cake in the afternoon became a fashionable tradition. The custom of tea drinking itself dates back a lot earlier to the third millennium BC in China. It became popular in England in the 1660s when King Charles II and his wife the Portuguese Infanta Catherine de Braganza enjoyed the tea drinking habit and soon spread throughout the land. Tea has become quintessentially British. As a nation we now drink 165 million cups per day or 62 billion cups per year! 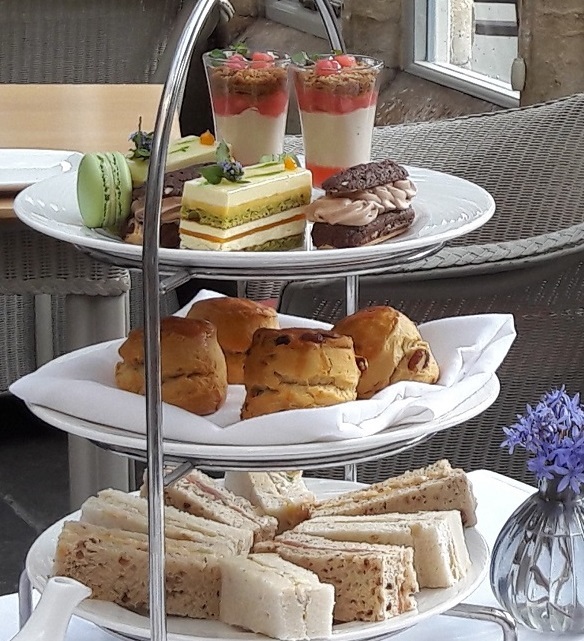 At Woolley Grange we honour the tradition of afternoon tea with freshly made sandwiches, homemade scones with jam and cream and some rather fancy cakes and patisserie! 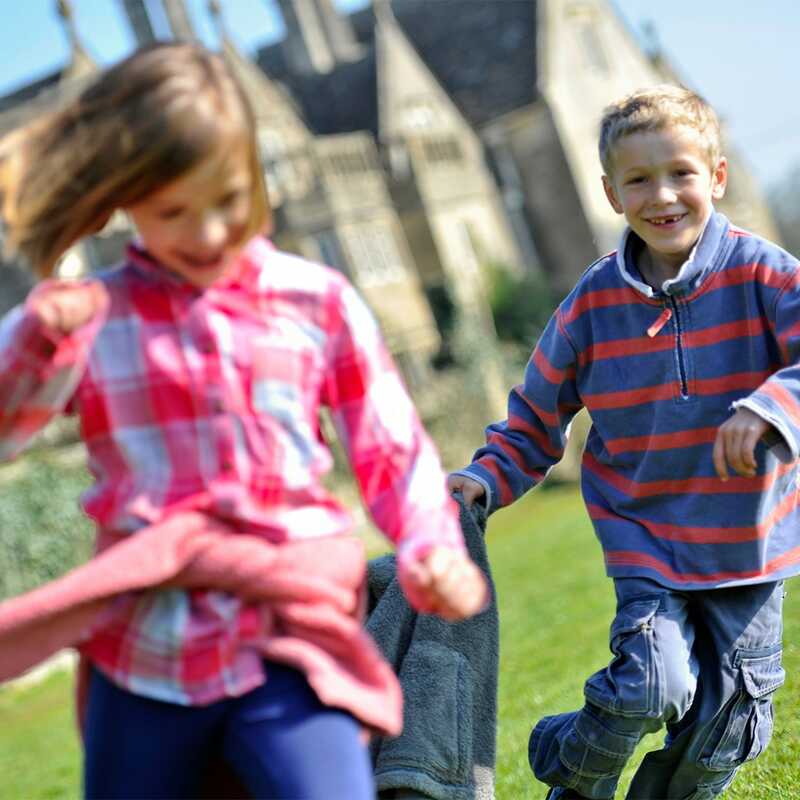 Never forgetting children, we also offer a very reasonably priced children’s afternoon tea with sandwiches, cakes, savoury snacks and, of course, jelly. At certain times of the year, we offer special themed teas. 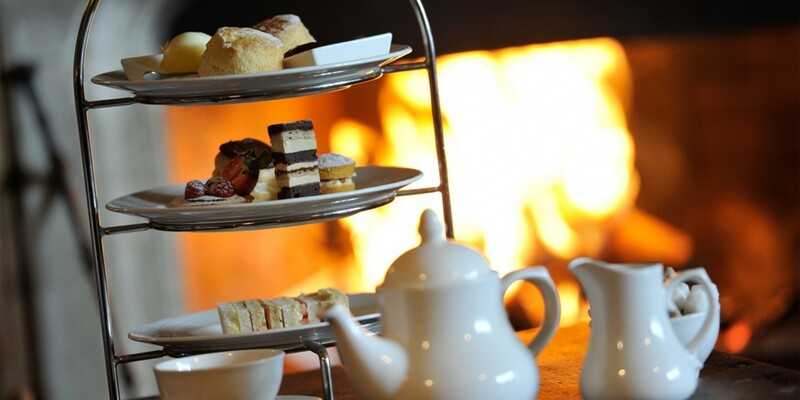 Why not book in for our Festive Afternoon Tea from 1st -21st December? Enjoy a free glass of prosecco for bookings of 6+ adults! See menu below.